Fujitsu may be less well-known on the consumer side than some other computer manufacturers due to its focus on business machines, but that doesn’t mean you should overlook it when choosing your next laptop! It doesn’t produce high-end gaming machines, but anyone looking for a laptop for basic entertainment and networking needs and especially for work or their own small business should definitely look into their consumer and business machines. 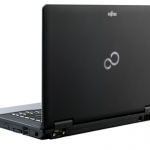 The company produces an array of simple, powerful, and portable laptops that can compete with any others on the market. Fujitsu laptops have plenty of processing power to accommodate the most fearsome multitasker. They also provide a range of products that center around various business applications, from laptops strong enough to replace a desktop to ultraportable tablets and tablet hybrids. From the best new office machines to the perfect laptop for the traveling businessperson, Fujitsu provides for all workplace computer needs with their laptops. They even sell servers to keep all your workplace laptops connected and share important business data between workers. In addition to their quality and variety of products, Fujitsu can be a good company for the budget shopper. The starting prices for many of their computer options are fairly low, which is a great advantage for those of us with a low income due to the economy or for small businesses that don’t have a lot to spend on technology but know they need to upgrade for the sake of networking and efficiency. They can offer somewhat lower prices because they focus on office capabilities rather than machines that can also game or play media particularly well. While they remain a better choice for a computer that will be used almost solely for work rather than an all-around laptop, if a work machine is what you’re looking for, Fujitsu is a great place to start. 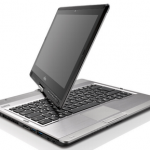 Find the best Fujitsu laptop deal for you.